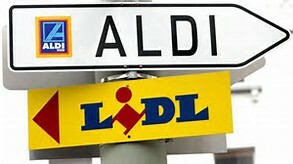 Maybe high street bargain supermarkets Aldi and Lidl have finally been given the credit they deserve! Known for their low prices, they are enjoying increased popularity in many more affluent areas of the UK. So much so, that they have come to the attention of the upmarket magazine Tatler. which has released a list of the high-end fancy food that the two chain stores sell at bargain prices. The magazine is traditionally known for its features on high price stores like Harrods and Fortnum and Mason, but following blind tests they have rated some Aldi and Lidl products better than their 'posh-nosh' competitors. 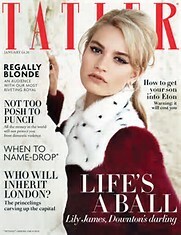 Tatler has sung the praises of the stores high-end bargains and is the latest move upmarket for the two high street chains that have tried for awhile to attract middle and high-income households. With both Lidl and Aldi selling the likes of sirloin steak and champagne, it seems everyone can now appreciate buying 'posh nosh' for less. With new Aldi and Lidl stores opening in the 'nice' London areas of Chelsea, Notting Hill and Mayfair, the Tatler magazine has started to compare the two budget supermarkets for bargain buys. In doing so, it has announced that Lidl is the winner, with judges voting its discount lobster and frozen macaroons 'top-notch'. Tatler has produced a guide to the best place to go for everything from bubbly to eggs, claiming that shoppers can choose between Lidl's Scotch beef sirloin steak at £5.45 or Aldi's Aberdeen Angus steak at £4.75. Other popular buys for Tatler's discerning readers includes Aldi's kiln roasted salmon at £3.59 and smoked Scottish salmon at Aldi for £2.99. As for champagne - Lidl is just £9.99 and Aldi at £10.99. Lidl has now overtaken Waitrose to become Britain's seventh biggest food store, behind the 'big four' and Aldi and the Coop, so it's worth thinking about either Lidl or Aldi has a place to shop for your Christmas high-end purchases. Blind tests last Festive Season, found that smoked salmon, mince pies and mulled wine were tastier at Lidl and Aldi than at Fortnum and Mason and Harrods! When is Homemade Food Real?